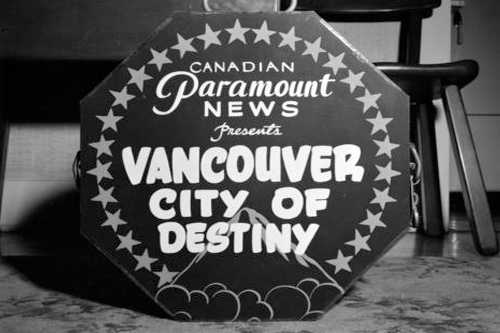 Did you know #Vancouver was the first Hollywood! You’ve likely never heard of Filmmaker William Harbeck. He died on the Titanic at the age of 44 over 100 years ago and was in fact the official filmmaker on the Titanic. He also happens to have made the very first film of Vancouver, in 1907. Imagine filming the first movie in Hollywood, California. Well Harbeck did that for us here in 'Hollywood North.' 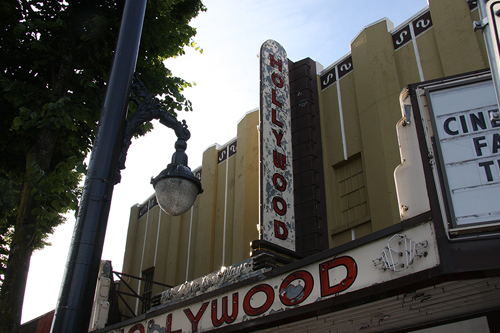 Incidentally, the first film in Hollywood California wasn’t made until 1910 so technically Vancouver was the first Hollywood. 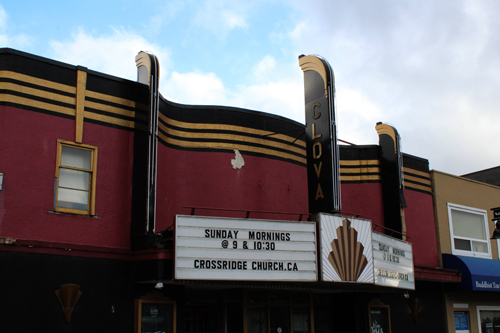 Vancouverites have a bit of a love/hate relationship with movie making. We know its a big industry that we should all support, but when you see the street lined with white trucks and a person at the end with a safety vest ready to stop you...well you may just get annoyed a little bit. Last year, the Mayor of Vancouver had to release a statement for the Movie Deadpool because it closed down a major viaduct that went into the city for 10 days. A carefully worded reminder of how much money the film was bringing to Vancouver and that the main actor 'Ryan Reynolds' was a hometown boy - to try and curb complaints. In any given day, if your going from one end of town to the other, you will be sure to come across a production set. 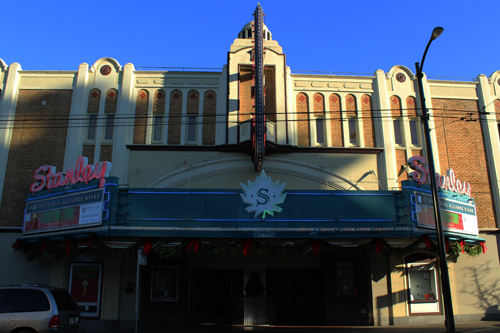 There's even a Wiki page dedicated to film locations in and around the Vancouver area. Perhaps you consider yourself lucky if you are making a mint off of a production renting your house or facility, maybe not so lucky if you are the neighbour. All Vancouverites have what I call movie-making moments...from friends' that have been extras in movies to run-ins with movie stars and more. My wife has a collection of stories starting with one of her friends', whose Dad made $500 dollars to turn off his lawnmower when "never ending story" was being filmed in White Rock in the early 80's...and yes he did try turning it on again the next day...so did all their neighbours. She personally dodged Dr. McDreamy when he had a meltdown in the parking lot of a bowling alley in the early 90's and she was almost run over by an actors golf cart in VanDusen Gardens for the filming of 'Good Boy!' The one production movie moment that stands out for her was the Joel Schumacher movie 'Cousins' staring Ted Danson, Isabella Rossellini, Lloyd bridges and over 5 of her friends who played extras in the last 5 minutes of the movie. It was her own 'jumping the shark' moment for watching all movies thereafter...she said she couldn't take any movie very serious nearly as much after that. For myself I have a personal favorite movie-making moment that recently occurred when I was driving through Vancouver. 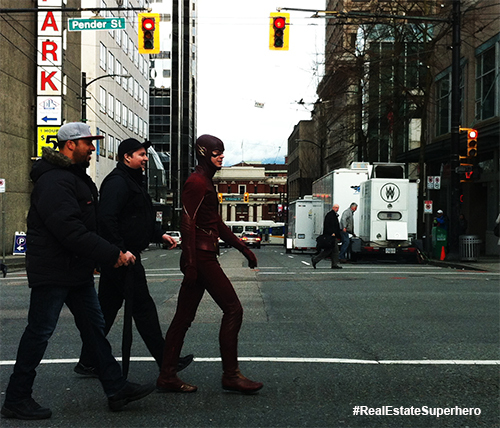 I watch none other than one of my superhero colleagues 'the Flash' cross the street with his body guards (even Superheros need protection sometimes). Got a great Vancouver movie-making moment, post them to #VYRshoots. Vancouver has been used as a filmmaking location for over a century, three years after Harbecks film of Vancouver, the The Cowpuncher's Glove and The Ship's Husband, were also both shot in Vancouver in 1910. 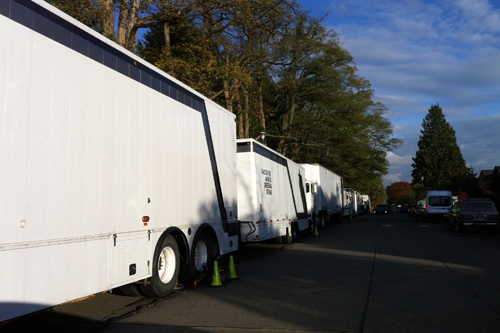 So why is Vancouver considered a great place to film a movie apart from the beautiful scenery. Well I have it on good authority that the ever present 'cloud cover' is better for filming, we have some mega studios, serious talent, our scenery is versatile..its close to L.A. studios and our lower dollar at this point doesn't hurt either. "many prominent citizens were suddenly stricken with kinetoscopitis yesterday" and reassured readers that "kinetoscopitis is not nearly as serious in its effects as spinal meningitis." The article observed that "the way that prominent citizens suddenly discovered that they had business on the other side of the street and strolled across sort of unconcerned like, when they saw the kinetoscope coming was very amusing to those on the front of the car." Can't find any reference to what exactly 'kinetoscopitis' was to Vancouverites back then but it would seem to be either a joke or a new medical term for something akin to 'deer in headlights' that didn't exactly take off. Oh well, we can't be first at everything!